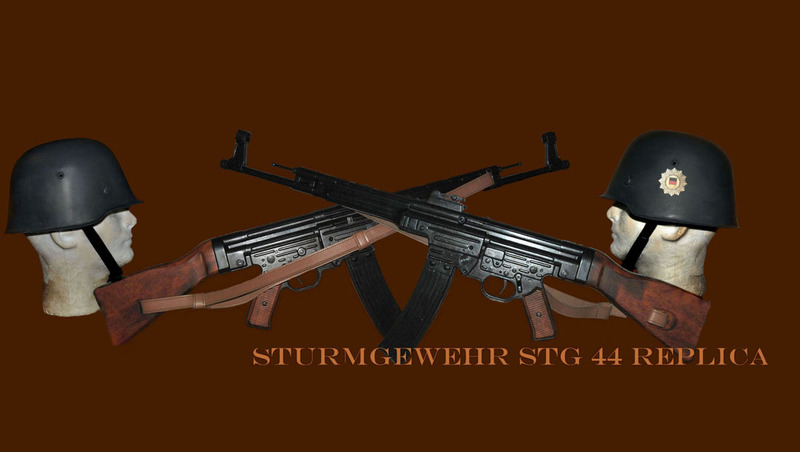 East German, DDR (Deutsch Democratic Republic), Nationale Volsk Armee (NVA). 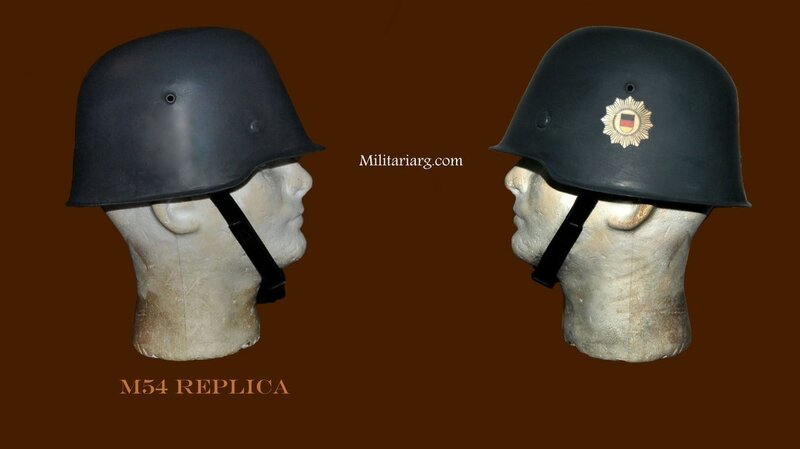 Re-enactment & Recreation. 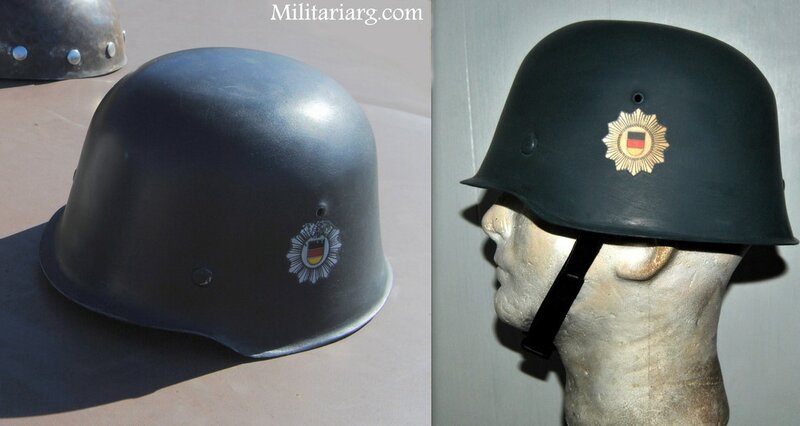 Photo: Mix of NVA Visor Hat; Grenztruppen Coat. 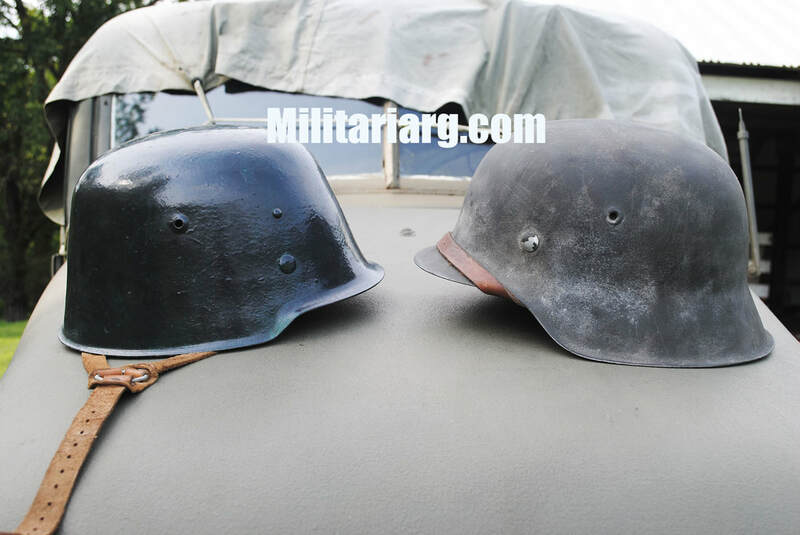 Whermacht boots and MP44 resin replica. 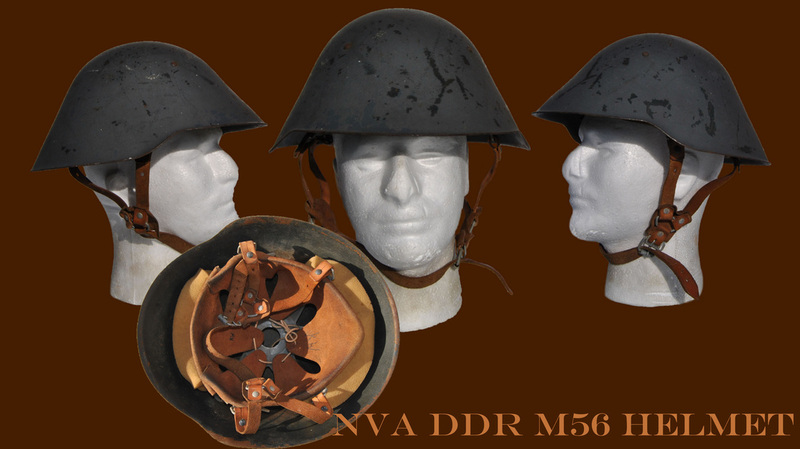 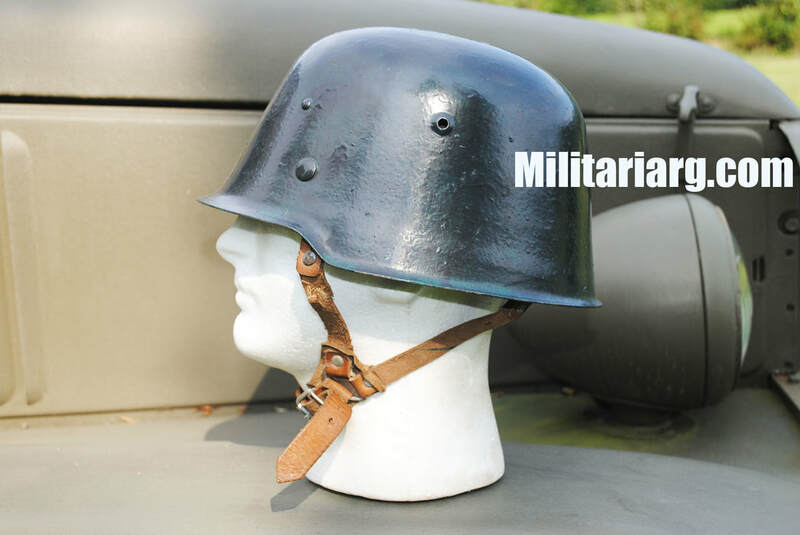 ​DDR KVP M54 Helmet, also called "Kessler bombe", type 2 (Type 1 refurbished with the M31 liner from the early M56 Helmet, recently acquired from StaBfur, former East Germany. 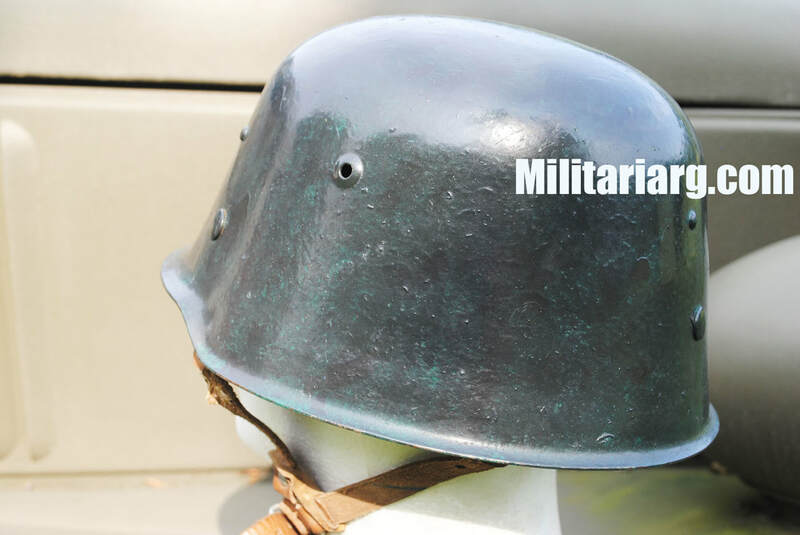 Probably repainted to use on a motorcycle. 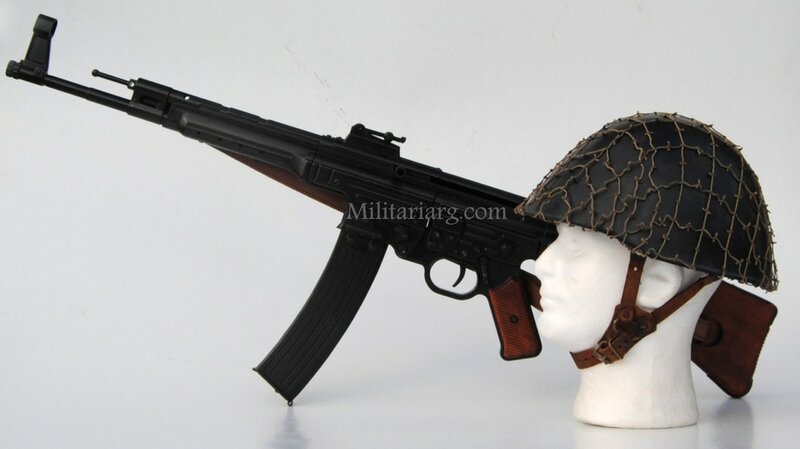 MP44 STG44 Metal made by DENIX. 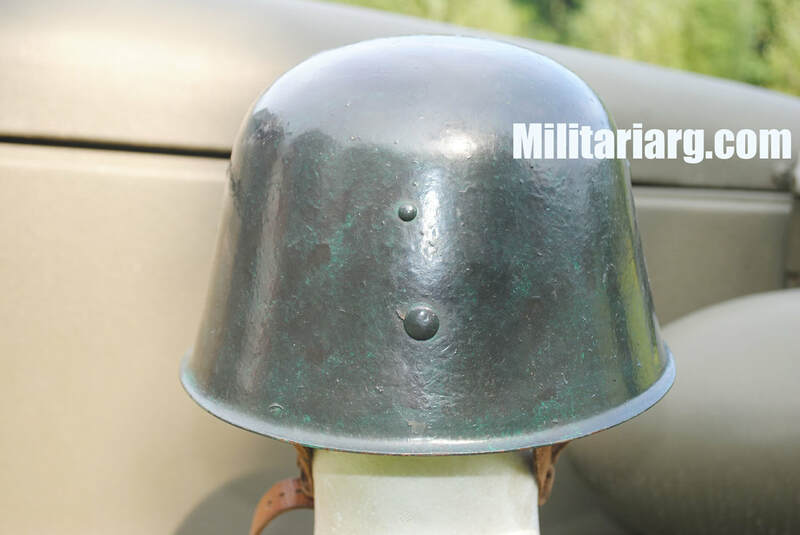 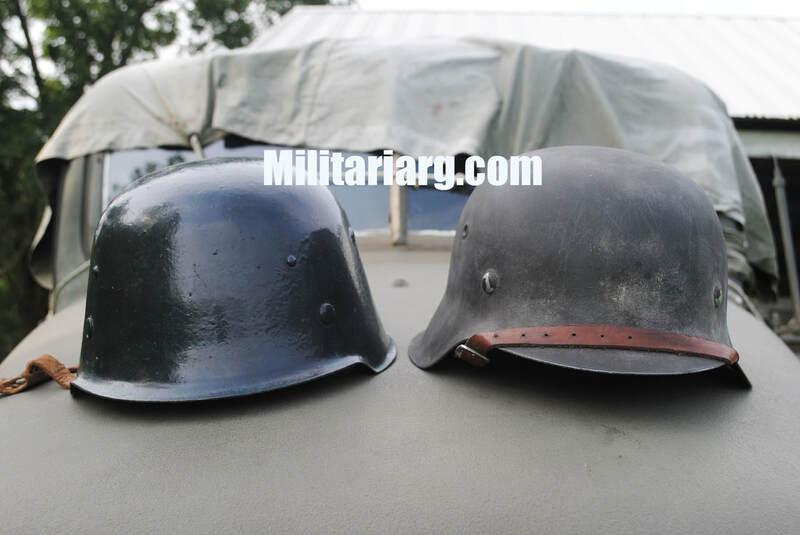 KVP (Barracks Police 1954) steel helmet replica. 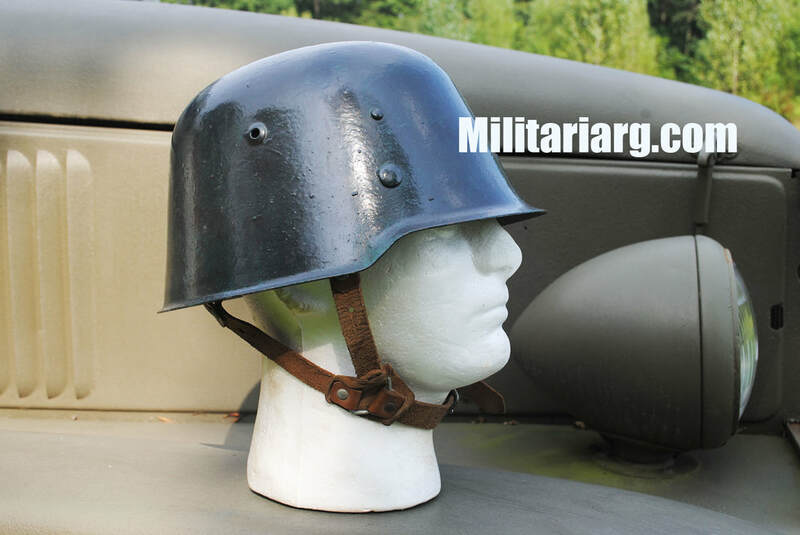 DDR M82 steel export helmet helm M 605 replica. 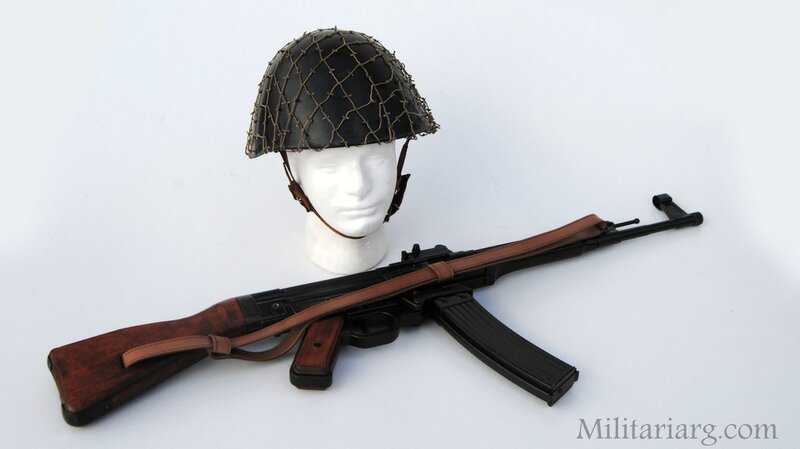 These helmets were made for export to Third World countries during the late Cold War period (1982). 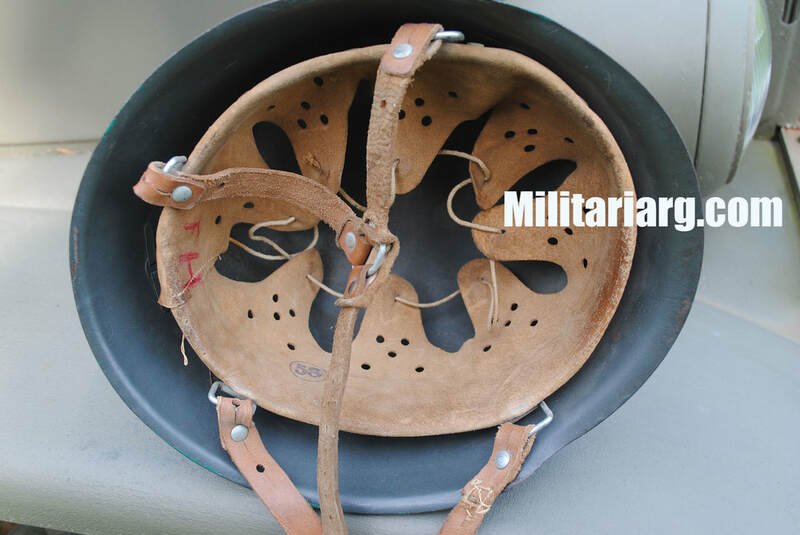 There are still found in service in some African and Middle Eastern countries. 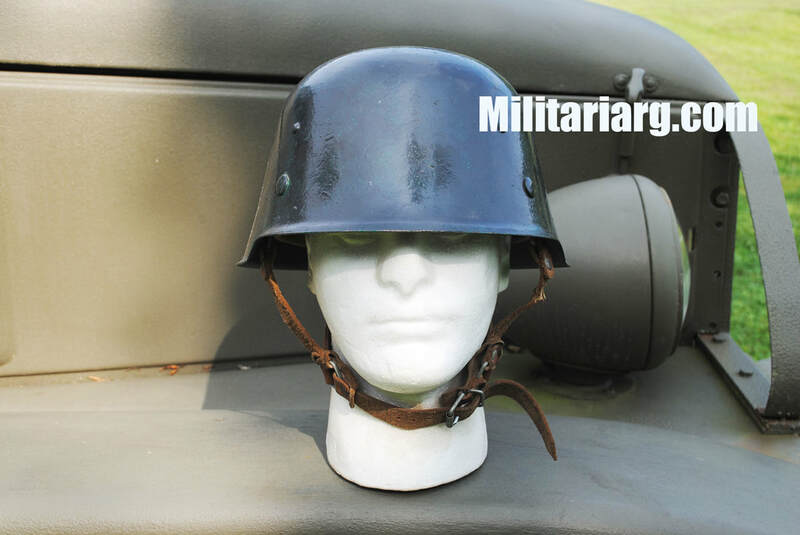 Maybe in the future they will appear for collectors, but for now they are difficult to acquire. 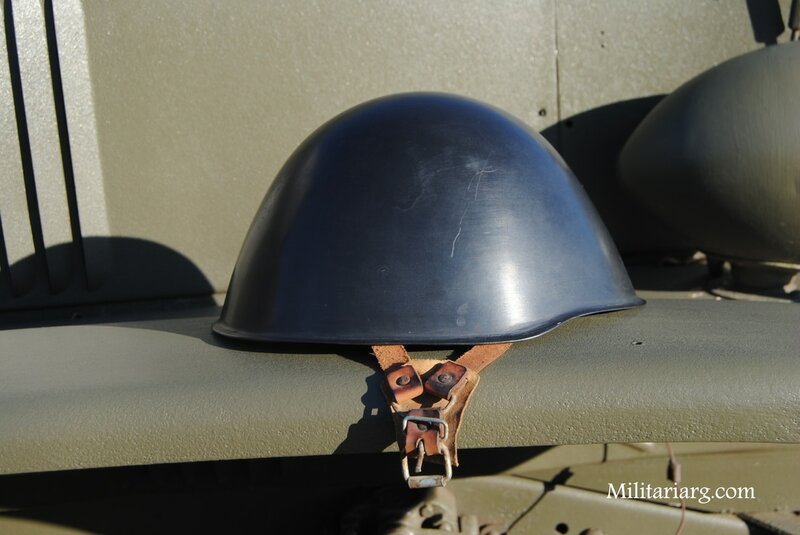 Above: The late WWII, prototype by the Thale Factory, also a steel replica. 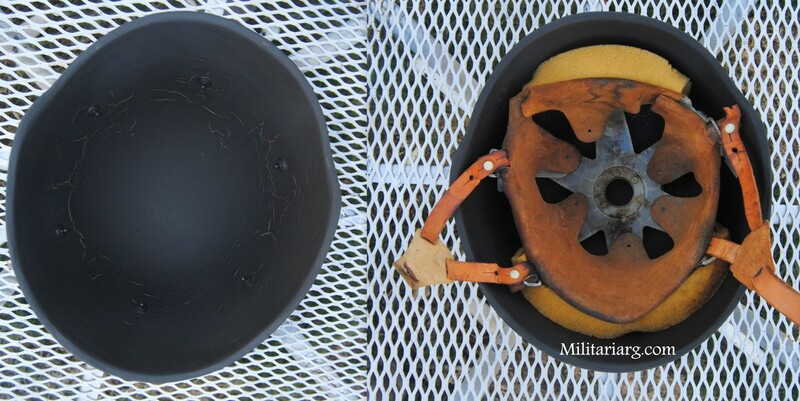 Curiously, they seem to have parallel design tracts. 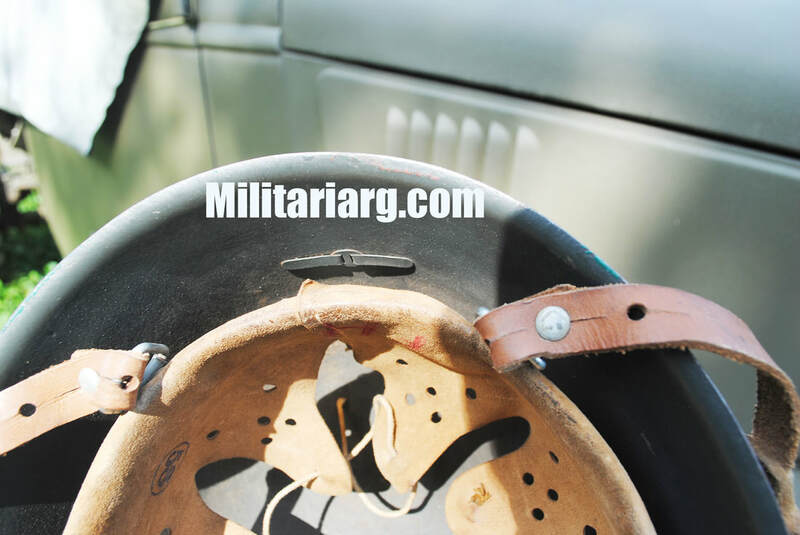 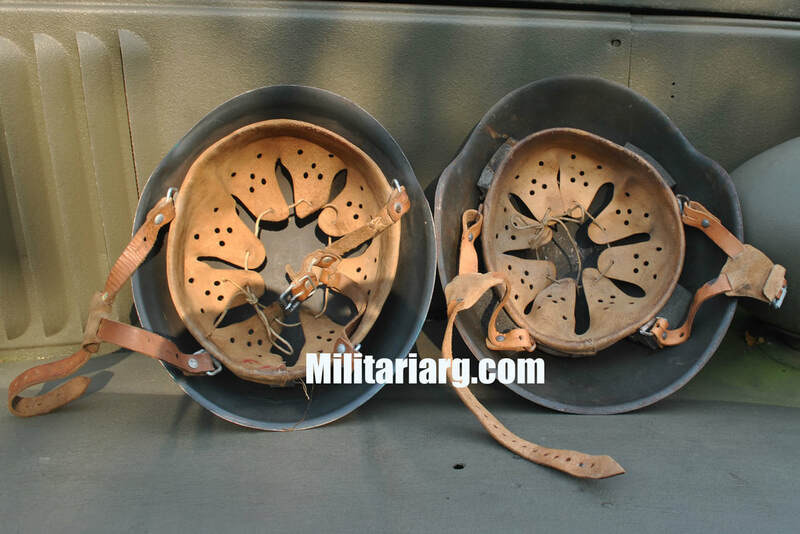 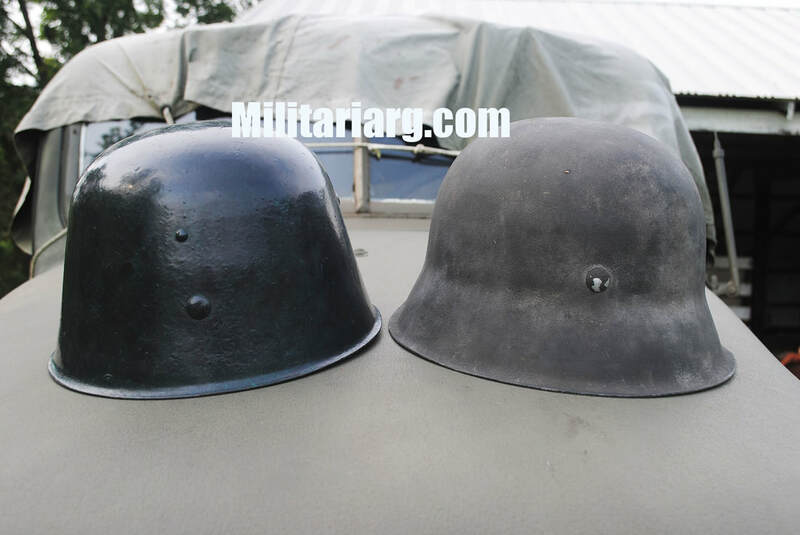 Left: M56 helmet, 3 external rivets with M31 liner. 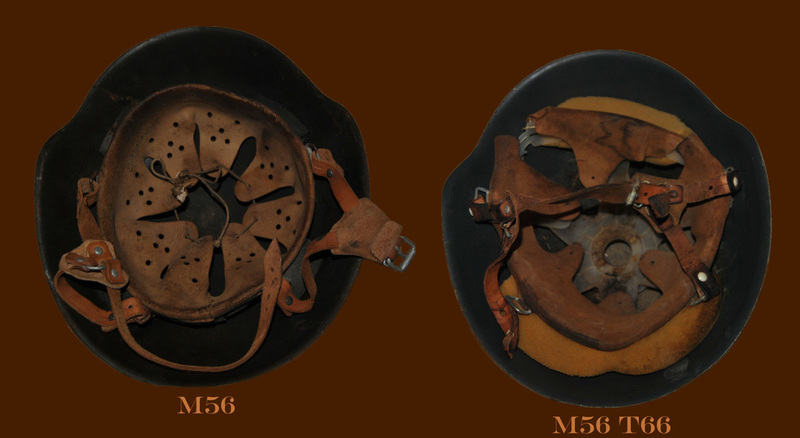 Right: M56 T66 (1966) without external rivets and leather/plastic liner. 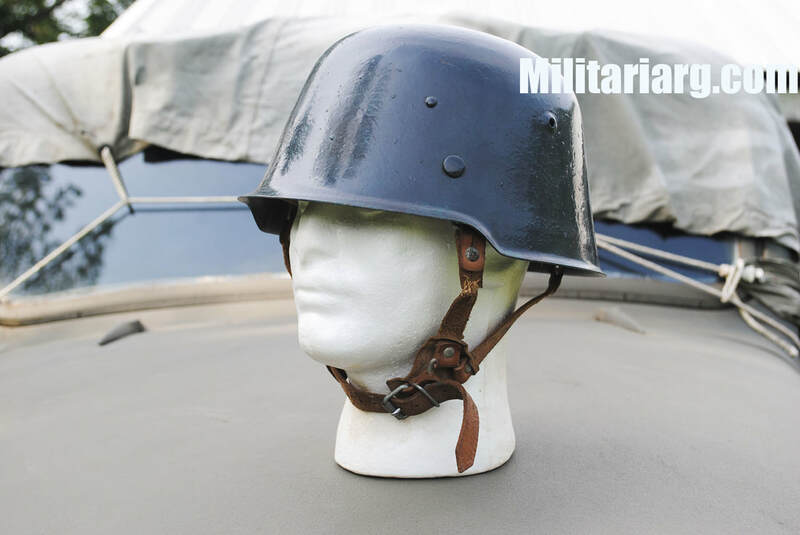 M56 DDR helmet, 3 external rivets update with new plastic/leather liner. 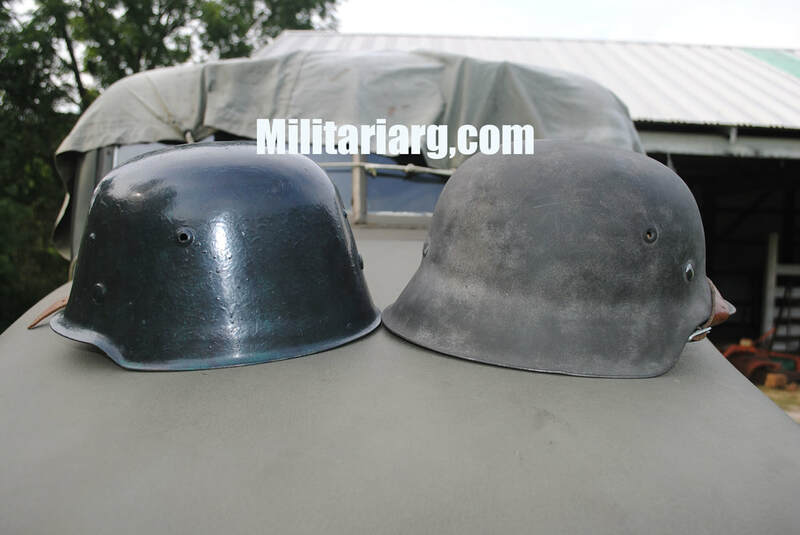 Left: East German DDR Helmet with Rain Pattern Camo Cover. 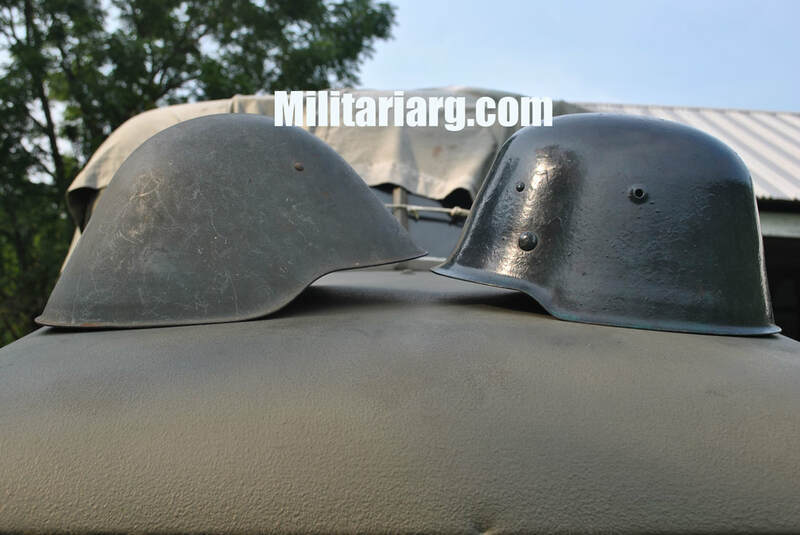 Right: Turkish M56 Helmet with desert camo. 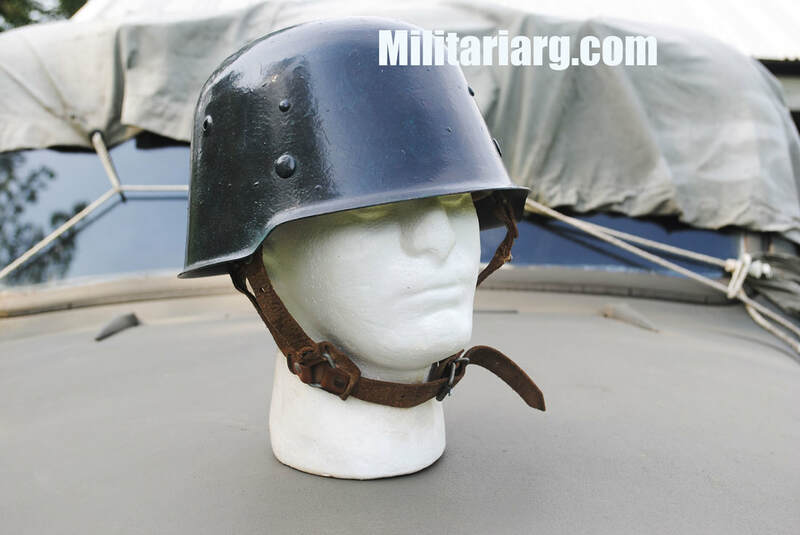 DDR Volskarmee Cap. 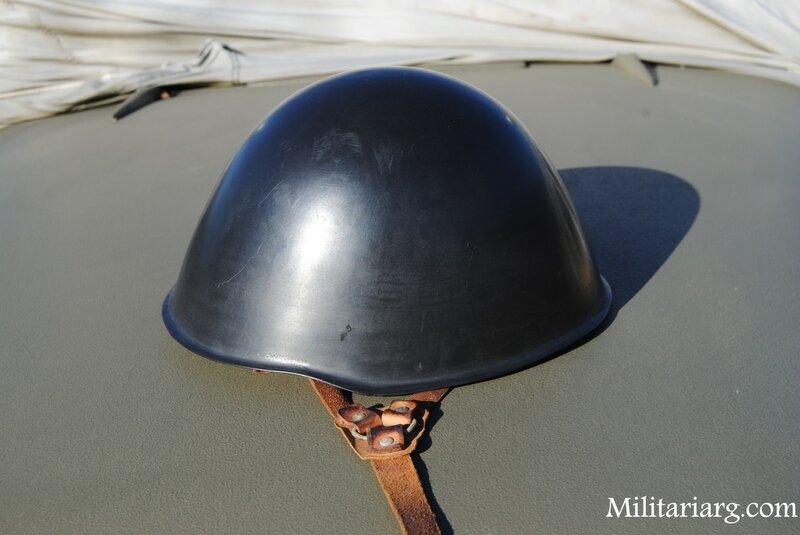 Rain Camo Pattern. 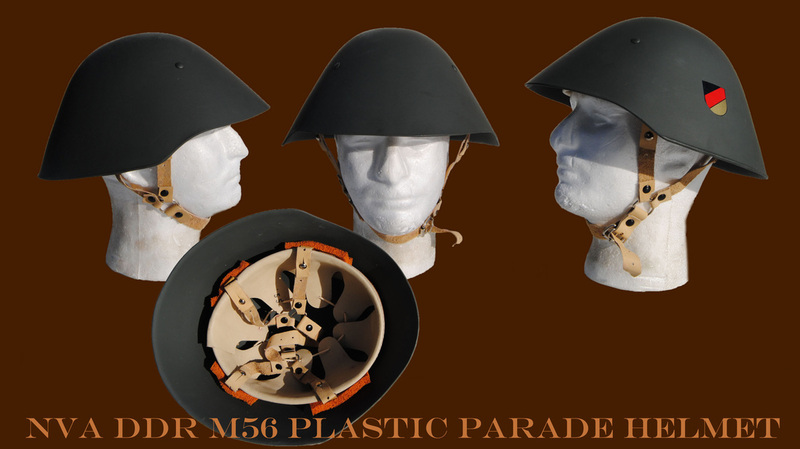 DDR Dispatch Rider Plastic Helmet.